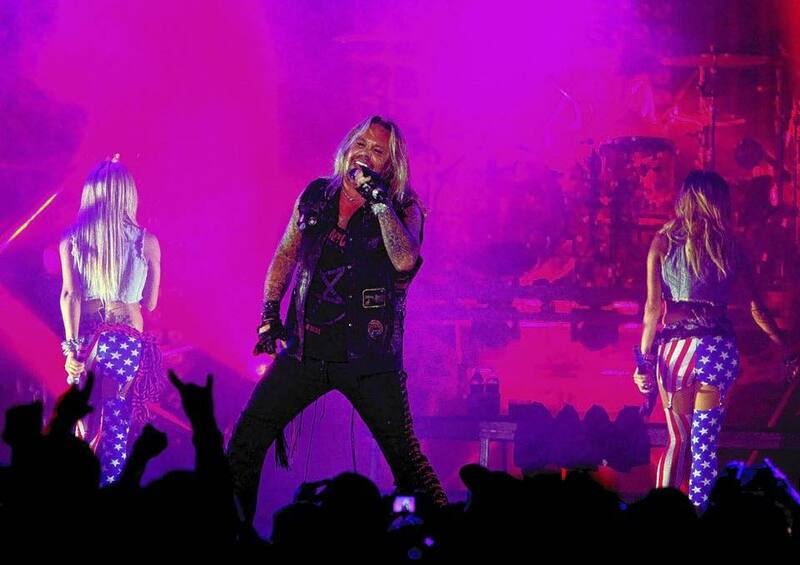 Former Motley Crue frontman Vince Neil has confirmed plans for a busy live schedule in 2016. "Well, I've retired from Motley Crue; that's no more,” Neil tells Eyes Of The Game sports radio host Helen Yee, “but I've got 70 solo shows starting April 29th 'til the end of the year, so I'll be touring. It never gets old." Neil has yet to announce his full schedule; with no current website and nothing listed on his Facebook page, there is one date confirmed and currently on sale via Ticketmaster – a July 29 show at the Thunder Valley Casino Resort in Lincoln, CA with Queensryche and Great White. Neil and Motley Crue wrapped up their farewell tour at the Staples Center in Los Angeles on New Year’s Eve, bringing an end to the group’s 35-year career. The singer has been filming his appearances on NBC’TV’s new season of The Celebrity Apprentice, which returns to NBC this fall with new host Arnold Schwarzenegger since the network parted ways with Donald Trump last June. The celebrity lineup also includes boxing campion Laila Ali, TV host Brooke Burke-Charvet, NFL star Eric Dickerson, Boy George from Culture Club, American Ninja Warrior host Matt Iseman, actress Carrie Keagan, stylist Carson Kressley, WNBA champion Lisa Leslie, comedian Jon Lovitz, former reality TV star Nicole "Snooki" Polizzi, actress Kyle Richards, UFC star Chael Sonnen, TV host Porsha Williams, NFL legend Ricky Williams, and singer Carnie Wilson.